Water helps clear your body of toxins. Drinking water can also help clear away some types of illnesses by lessening congestion in your body. Additionally, water helps your mucous membranes work, so they can trap things like dust and bacteria and prevent them from getting into your lungs. Drinking enough water will help your body cleanse properly, allowing it to heal and get you back to feeling good again. If you like flavor — and want to give your immune system a vitamin-C boost — squeeze fresh lemon in hot or warm water to help your body stay hydrated. Lemons are high in a fiber called pectin — a prebiotic that assists good gut health by feeding healthy gut bacteria. Lemons also contain large amounts of citric acid (hence their sour taste and lip-puckering qualities), which can increase urine output and decrease kidney stones, as well as aid in digestion. All of which is good for your immune system and your overall health. A daily glass of lemon water, perhaps first thing in the morning, may be just what the (good) doctor ordered. A mug of warm tea can be comforting, like a blanket for your insides. Ginger has vitamins and minerals, including chromium which can help prevent chills and fevers. This plant can also be useful for a bad cough or a sore throat. Overall, ginger can help break down toxins and cleanse the body. Ginger also helps to fight the headaches that so often accompany illness. But don’t think sipping on ginger ale will do the trick to get you well. Ginger ale actually doesn’t have much (if any!) ginger. And it has sugar, which can deplete your immune system. 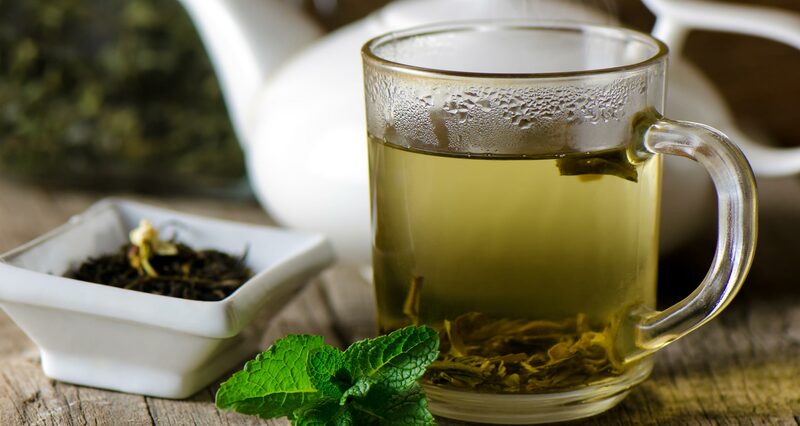 Easy to find and affordable, tea, specifically green tea, may be one of the healthiest beverages on the planet. Green tea contains a powerful antioxidant known as EGCG, which helps stop free radicals from damaging your healthy cells. 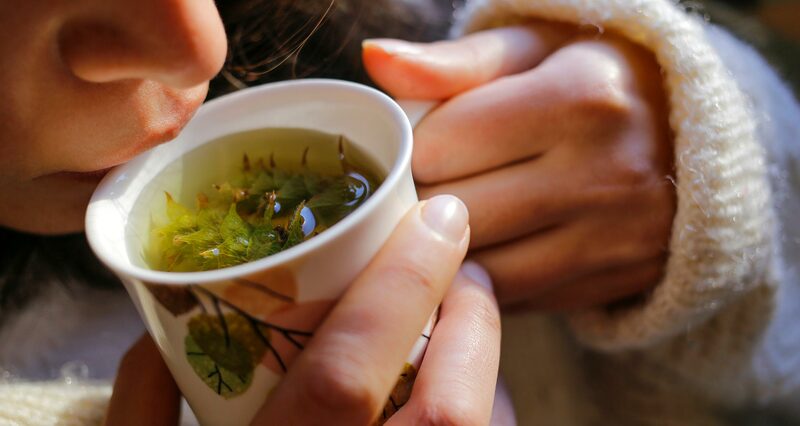 Studies have also proven green tea to be antiviral, helping to fight the flu and other viruses. 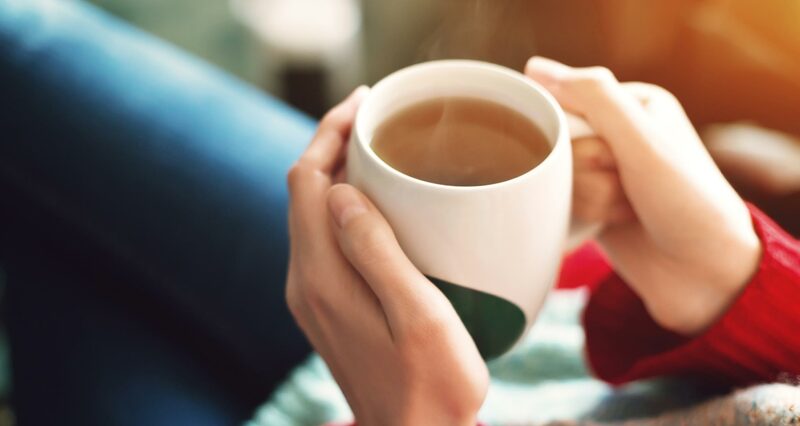 Like antiviral drugs, green tea appears to help enhance the rapid growth and activity of immune cells that are considered a first-line defense against infection. You can sip green tea and even gargle with it to knock out germs and reduce your symptoms. 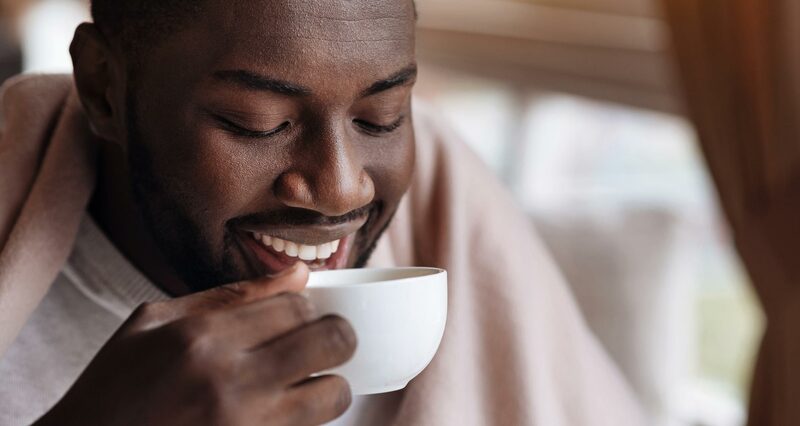 In a 2016 study in BMC Public Health, gargling with tea was found to be potentially effective for preventing the flu. When researchers studied the antioxidant levels of more than 3,000 foods and beverages, what do you think had the most antioxidants of any food on the planet? Hibiscus. It even beat green tea! This ruby red herb is rich in vitamin C. And people use it around the world as a medicinal beverage. Sometimes known as sour tea — it tastes a bit like a less bitter version of cranberry — hibiscus can be enjoyed both hot and cold. Rose hip tea can also help your body fight infection. Rose hips, the fruit of a rose, have a higher percentage of antioxidants, particularly vitamins A and C, than many healing foods. Want to shorten the length of your cold or flu and reduce your sore throat, cough and fever? Of course you do. And echinacea is backed by science to do all those things. In fact, echinacea may be more powerful than commonly prescribed flu medications. When should you sip this powerful flower? Studies have shown that drinking echinacea tea at the first signs of the cold or flu can reduce the severity and duration of your sickness. And then, you probably want to keep drinking echinacea. Studies have proven it to increase immune activity and to keep a cold from returning. You can find echinacea tea bags or simmer the root for at least 10 minutes. Some herbalists and researchers recommend not taking echinacea for longer than two to eight weeks consecutively. They believe that if you take echinacea for a long period, it could actually be harmful to your immune system. If you frequently get colds and the flu, this earthy herb can help you strengthen your immune system. In fact, Chinese doctors have prescribed it for this purpose (among other things) for thousands of years. I make astragalus tea throughout the winter (I often add astragalus root to chai recipes) and sip it often. The main reason to use astragalus is for prevention, but it may also give you an immune boost when you’re sick. Thyme is something you might already have in your kitchen. But if you haven’t tried thyme tea when you’re sick, it just might be thyme to start. This herb is packed with disease-fighting antioxidants. It’s particularly useful for colds and flu and easing coughs and sore throats. Thyme also has mood-boosting effects, so it may be able to help pull you out of the sickness blues. To make thyme tea, all you need to do is combine about 1 tablespoon of the dried herb with hot water, let it steep for 10 minutes, and then strain. You can drink frequently throughout the day. Adding some peppermint or spearmint is delicious and provides even more of a healing boost. You can also make a thyme cough syrup. Sage tea is another easy home remedy for sore throats and coughs. Sage can also boost your mood. And some people believe that burning sage can help to clear the energy in rooms — something that you might also find useful when you’re sick. Sometimes, when you’re ill, convincing yourself to eat can be hard. Drinking tomato tea can help you get a little more nutrition into your body. Though tomato tea takes a few more steps than these other suggestions, it’s worth it. And even better, it tastes great. To make tomato tea, combine a couple of blended tomatoes or 2 cups of tomato juice (with no added sugar), 2-3 cloves of crushed garlic, and some hot sauce (or cayenne pepper) in a pan and heat until warm. (You can also add some apple cider vinegar and/or ginger if you like.) Fold in a dash of fresh lemon juice before consuming. Drink throughout the day. Fresh green juices and vegetable smoothies can help you fight sickness by giving your body the nutrients it needs to work properly. You can keep it simply green by mixing kale, mint, and cucumber. Or go orange with orange, carrot, lemon, and ginger. Or if it’s your thing, you can experiment with all sorts of immune-boosting smoothie tonics, adding your favorite mix of health-boosting ingredients and blending them all together. Juices can get nutrients in your body quickly, while smoothies have the added benefit of fiber. And finally, here’s an idea your taste buds may love. Chocolate to cure your cold. Did you know? Cocoa contains a chemical that can help your body fight off cold symptoms. Doctors at the British National Health Service discovered that the cocoa in chocolate might help cure a persistent cough and was found to be more effective than the best cough medicine. Also, chocolate is one of the top antioxidants foods. And it releases feel-good chemicals in your brain. But the benefits don’t stop there. In fact, after water, cocoa may be one of the healthiest substances you can put in your body. Of course, not all chocolate is equal. You should stick to dark chocolate (at least 70% cacao is best) and pure cacoa or cocoa powders (without added sugar). And aim to find organic and fair-trade chocolate, so you aren’t contributing to child slavery. Cacao is the purest, raw form of chocolate you can consume. It has the most nutrients and antioxidants. And many cultures have used it throughout history for health purposes. On the other hand, cocoa, while still a healthy choice, is processed using high temperatures. Chocolate is less stimulating than many teas, like green tea, so you may be able to enjoy it later in the day or even before bed. And you might want to have a delicious cup of cocoa every day during the winter to stay well. Drinking a daily cup of hot chocolate might help prevent you from getting the flu. 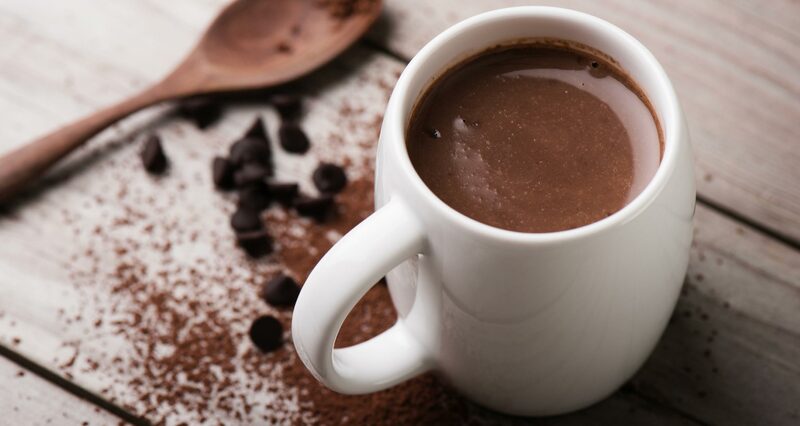 In a human trial, drinking cocoa every morning was found to stimulate the body’s natural ability to fight the flu virus. Best Thing to Drink When Sick? When drinking hot drinks be careful they aren’t too hot. 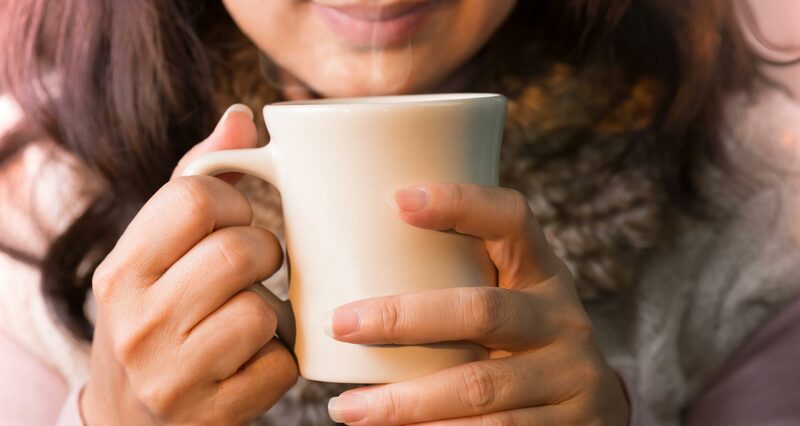 Drinking very hot beverages has been found to be “probably carcinogenic” by the International Agency for Research on Cancer, the cancer agency of the World Health Organization. What is too hot? A CNN article says, “It’s hotter than water coming out of sink faucets […] but not as hot as boiling water.” It also mentions that beverages are not usually served this hot in Europe and North America, but are commonly served this hot in regions such as South America, the Middle East, and East Africa. For any herbs, especially if you plan to use them medicinally for an extended time or if you are taking any medications, you may want to check with your healthcare professional. Herbs can be powerful and should be treated with respect. For those who are pregnant or nursing, thyme and sage shouldn’t be taken medicinally, though they can be used as culinary spices. If you want, you can combine many of these beverage ideas — like green tea brewed with ginger and a squeeze of lemon. Or hot chocolate made with brewed astragalus. Whatever steps you take, remember to hold yourself with care. Being sick is no fun and being mean to yourself only adds insult to injury. You deserve love and care all the time — and especially when you’re feeling low. So snuggle up, sip something healthy, and with any luck, you’ll be feeling better soon. What do you think is the best thing to drink when sick? What are your favorite healing beverages you turn to when you or someone in your family gets sick? Related: Easy home remedies to help you avoid colds and the flu (from a doctor who’s also a mom).